Paintbox - KUM | Made in Germany | Anspitzer Zeichengerate uvm. 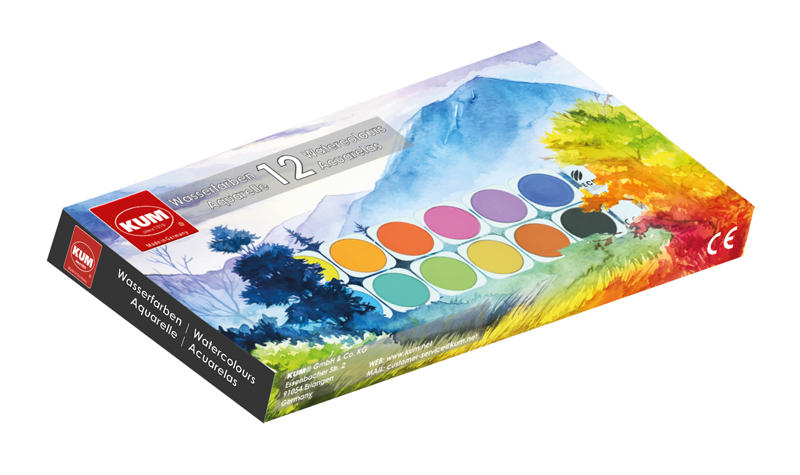 The KUM watercolor paintbox offers brilliant and bright colors with a high opacity. Create colorful works of art with 12 beautiful colors in interchangeable bowls. Thanks to the easy-to-remove lid and the mixing fields there is room for an unlimited creativity. 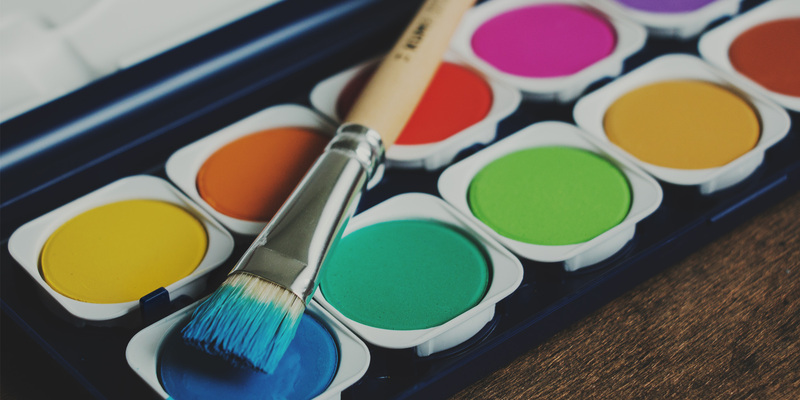 The opaque white helps to mix brighter colors. The colors are free of any toxic substances. The KUM watercolor paintbox is completely Made in Germany and marked with the CE sign.